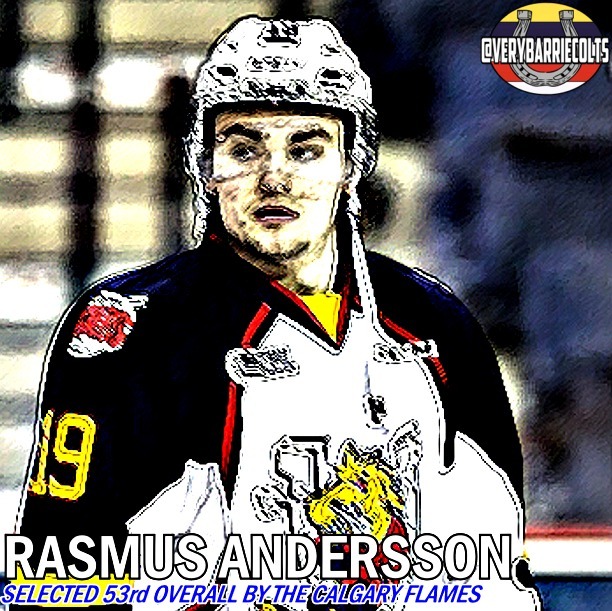 Rasmus Andersson selected by the Calgary Flames. #NHLDraft - Very Barrie Colts | A website covering the Barrie Colts of the OHL. For those unfamiliar with Andersson we did a profile on him heading into the NHL draft that can be seen here. Congratulations to Rasmus AND to the Calgary Flames.